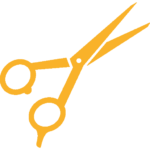 The Hair Cut-A-Thon is a fundraiser and community awareness event. CCFSC takes the opportunity to allow the community to show their support of children with cancer by having them shave their head or get a hair-cut and style. Children with cancer shave the heads of firefighters and anyone else wishing to have their heads shaved while stylists cut and style the hair of those that would not like a shaved head but would still like to show their support. In addition, we collect 12” hair donations to send to Wigs for Kids, an organization dedicated to providing wigs for children with cancer. Learn more about Wigs for Kids by visiting their website.